Can an airplane fly all around the world without using a drop of fuel? Swiss pilots Bertrand Piccard and André Borschberg proved it can with the ‘First Round-The-World Solar Flight’, propelled only by the sun. 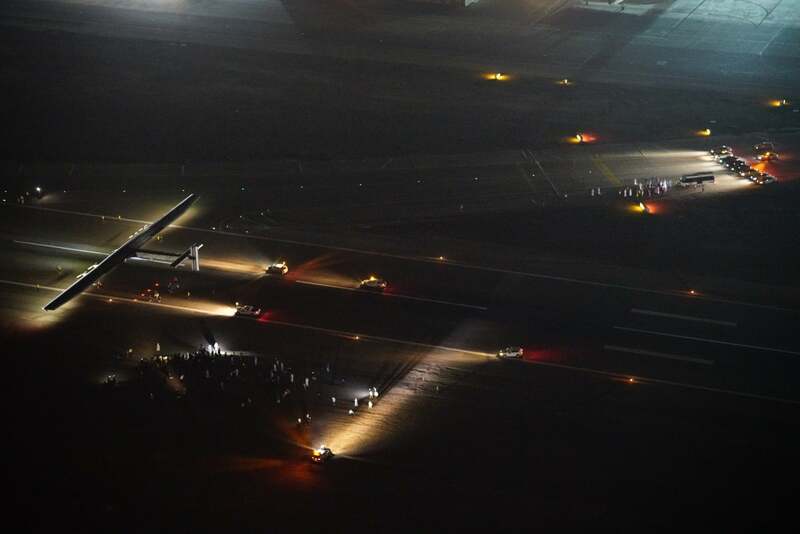 Solar Impulse is the first zero-fuel airplane to fly both day and night with no polluting emissions, at night using only reserve energy stored in lithium polymer batteries. The wingspan of a Boeing 747, the weight of a car and the power of a small motorcycle, the single seater is the largest lightweight aircraft ever built. The experimental plane has more than 17,000 photovoltaic cells – these panels collect solar energy to allow a cruising speed that uses little energy. Voyaging around the world was always expected to total five days in about ten stages, with the two pilots tandeming. In 2015 the pair started the first attempt of the voyage from Abu Dhabi. 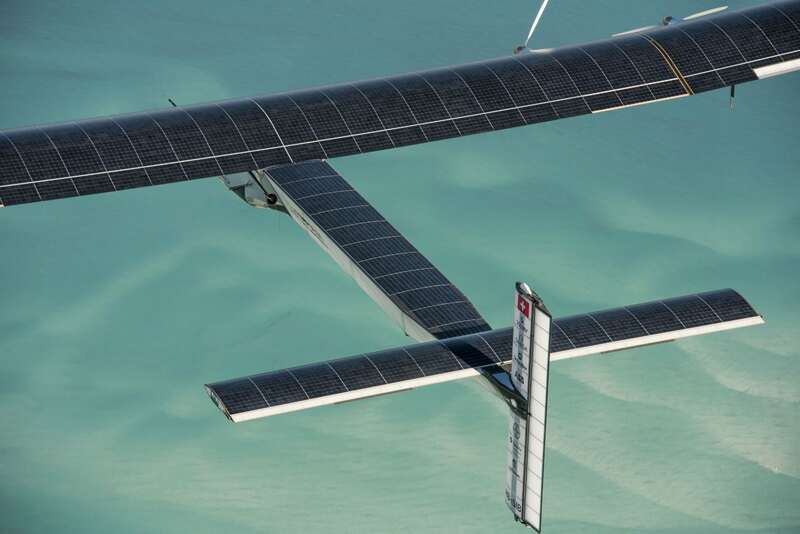 After weeks of delays and aborted attempts, they flew a gruelling 116-hours, nearly 20,000 kilometres from Japan to Hawaii – achieving the longest solo solar flight in aviation history. In addition to exhaustion, the pilots had to battle turbulence, cold fronts and a malfunction in the on-board warning system. The second circumnavigation covered 35,000 kilometres. After replacing overheated batteries and running maintenance flights, in April 2016 the team re-entered ‘mission mode’ to fly toward North America: “We are not daredevils, we are explorers,” says Piccard. By the time of their emotional landing in Abu Dhabi on 26 July 2016, they had flown a total of 40,000 kilometres without fuel. 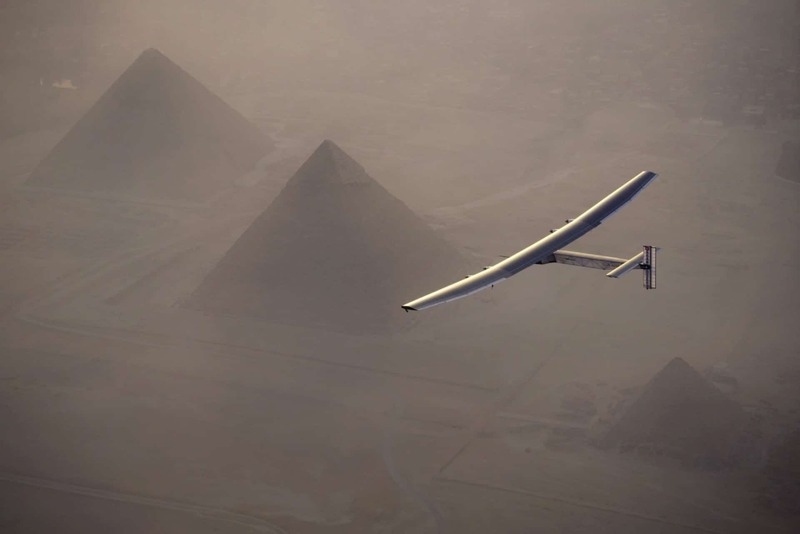 The full circle around the world marked a stepping stone in the possibility of clean long distance travel – proving that “energy efficiency, solar power, and modern technology can achieve the impossible,” Piccard tweeted. Take a 360° glimpse behind the scenes of Solar Impulse and enter its Mission Control in Monaco. An author and aviation enthusiast who flew solo gliding at the age of 15, Paddy followed in his father's footsteps and served 14 years in the RAF. He continued gliding and flew a Tiger Moth and a helicopter and was part of the fundraising team getting the Vulcan back into the air. 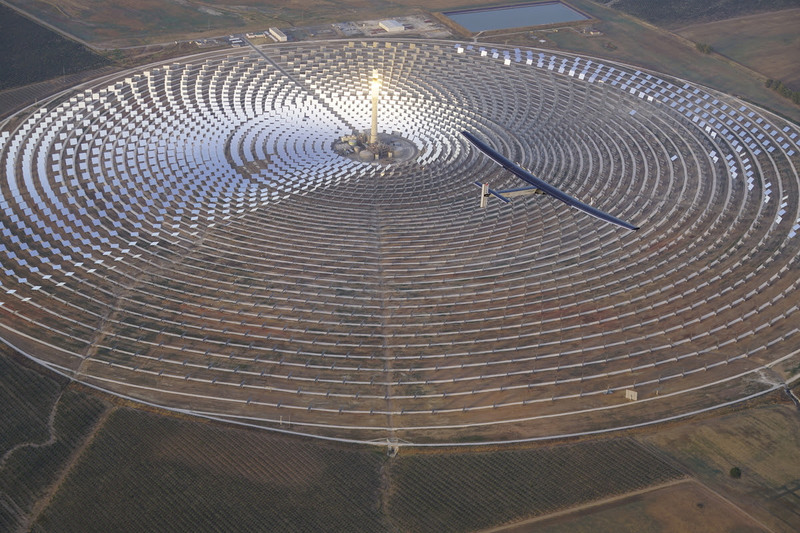 Tags: Awareness raising, Clean energy, Climate, Communication, Concentrated solar power, Environment, Pioneers, Solar, Solar energy, Transport. Hey, I wish that every city has a group of these solar Impulses for flyby’s around our own cities like pigeons and doves. I am simply in awe of the design of the solar Impulse 2!